The Dothan Police Department K9 Unit was an instrumental and successful specialty team during the 2014 year. During this year of service, the unit welcomed K9 Dex and K9 Argos as well as Officer Overstreet to the unit. We said sad farewells to K9 Robbie, K9 Andor and Officer Thompson. The unit ended our 2014 year with Team Commander Lieutenant David, Head Trainer Sergeant Wozniak/Argos, Assistant Trainer Brandon Peters/Alex, School Resource/Community Services Officer Henderson/Max and Dual Purpose Patrol Teams Moody/Zipo, Grantham/Vito, Miller/Rocky, Overstreet/Dex, Klink/Chico and Phares/Kazan. trained unit believing we are only good as our training. All teams attended the 2014 Annual Dothan Police Department K9 Seminar and shined as some of the top dog teams in tracking, obedience, apprehension and narcotics. Our top four teams then went on to the American Working Dogs 15th Annual K9 Olympics in Indiana. The competition was fierce but regardless, once again we shined and as a unit earning an admirable “5th Place Patrol Unit” out of 33 teams from all sides of the nation competing to be the best! When all records were complete, our unit logged 1,392 hours of training. During the 2014 year, the Dothan Police Department K9 unit was quick to respond to anything in progress, was quick to respond for backup to patrol, investigations, other agencies, and anyone else who called! In 2014 our teams were utilized in a variety of circumstances that required they conduct building searches, area searches, narcotic searches, explosives searches and tracking searches. The Dothan Police Department K9 Unit offered a variety of services to the community in 2014. These services included educational demonstrations as well as courtesy narcotic and explosive sweeps. The demonstrations the unit gave were often described as a favorite by participants. Events conducted included elementary, middle and high school demonstrations, Dothan 101, Citizens Academy, Junior Police Academy, Dothan Leadership, National Night Out and many more. The Dothan Police Department K9 Unit has been equipped with quality tracking dogs for some time now. 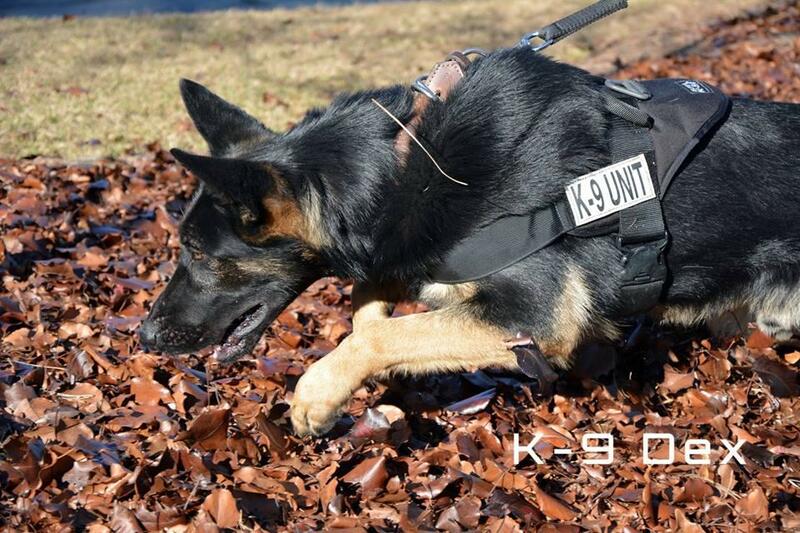 Over the past five years, the unit has worked to increase not only the number of dogs that can run tracks, but also to increase the distance that they track while strengthening their abilities to track through any conditions be it water crossing, heavy wooded areas, residential areas or high traffic areas. Contrary to past beliefs that only bloodhounds can offer quality tracking abilities, Malinois and Shepherds are highly motivated by their natural drives to track distances and have proven very effective in our unit.